Robin Chapman is the author of fourteen collections of poetry, including the Parallel Press chapbook The Only Everglades in the World and the Posner Poetry Award-winning books The Way In (Tebot Bach) and Images of a Complex World: The Art and Poetry of Chaos (with J.C. Sprott’s fractals and explanations; World Scientific). Her book, The Dreamer Who Counted the Dead, received a Wisconsin Library Association Outstanding Poetry Book of the Year Award, and her book Abundance received the Cider Press Editors’ Book Award. She has collaborated with composers, painters, textile artists and scientists in producing work, including a traveling Epidemic Peace Imagery show of poets and artists. She posts her watercolors, and other poets’ poems, on Robin Chapman’s Poem a Day Blog. She has held writing residencies at the Banff Centre for the Arts Leighton Studios and Vermont Studio Center and is a recipient of the 2010 Appalachia Poetry Prize, and a Wisconsin Arts Board Literary Arts Fellowship. She is a Fellow of the Wisconsin Academy of Sciences, Arts, and Letters and is a life member of WFOP. She teaches week-long poetry workshops at The Clearing and Bjorklunden. 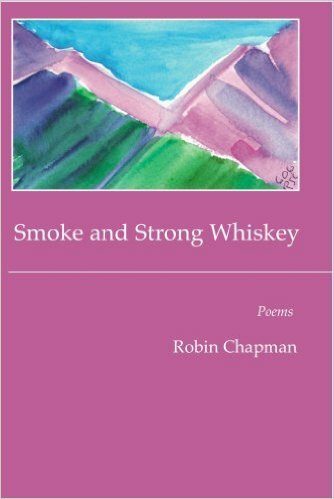 Robin Chapman's poems have appeared in many print and online journals, including The Alaska Quarterly Review, The American Scholar, Appalachia, The Christian Science Monitor, The Hudson Review, Poetry, and Valparaiso Poetry Review and on Poetry Daily, Verse Daily, American Life in Poetry, and The Writers' Almanac. The eelgrass meadow (Tebot Bach 2011), Dappled Things (Paris: Revue K, 2013), a portfolio of her poems accompanying 23 of Peter Miller’s photogravures, and One Hundred White Pelicans (Tebot Bach, 2013) are her most recent books; Six True Things will be out from Tebot Bach in 2016. 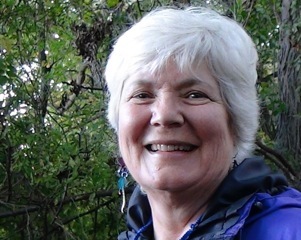 She has also co-edited the anthologies On Retirement (with Judith Strasser, University of Iowa Press) and Love Over 60: An Anthology of Women’s Poems (with Jeri McCormick, Mayapple Press). surely it was everything, waiting there? of the universe spun out of nothing? of our lives—and where do they go? speed on in nothingness, undeterred by loss.